Let's see what Jeff Spock, Narrative Director on Dungeon has to say about the beasties lurking in the depths of this dungeon. It's good to finally put names to the monsters that tear my heroes in half. Now I know what to punctuate a string of profanity with! In case you haven't unlocked any of the other ships yet, here's a breakdown of all their bonuses and penalties and which heroes are best suited for each run. Yes, a "congratulations" is in order for the .02% of players who have beaten the game with the Refreezerator Pod, from the 99.98% of us who aren't actual wizards. 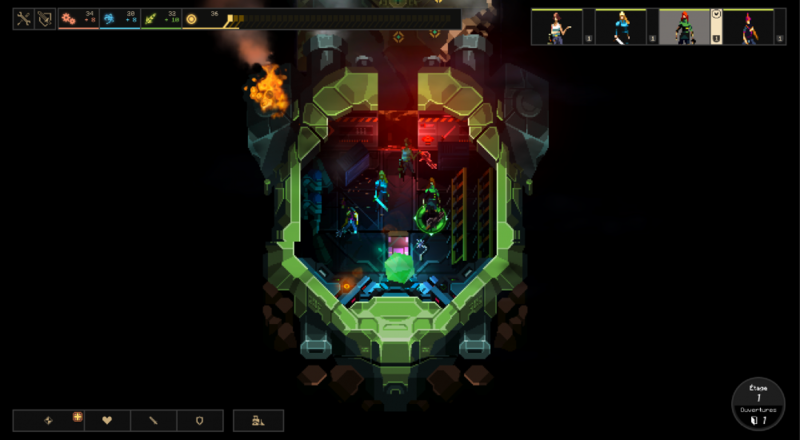 Lastly, a version of Dungeon is headed to the Xbox One sometime this year. It's not yet known if it will be up-to-date with the PC version, but it'll be cool to see how the game works with a controller based system. Hopefully it'll have local co-op support too, so the four of you can huddle together and sob after your entire squad gets wiped out by a random event going totally, totally south. Page created in 0.5216 seconds.